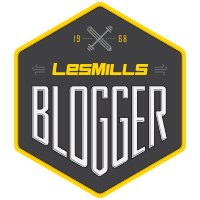 Posted on May 8, 2016, in Uncategorized and tagged Les Mills, Les Mills BODYATTACK, Les Mills BODYBALANCE, Les Mills BODYFLOW, Les Mills BODYJAM, Les Mills BODYPUMP, Les Mills BODYSTEP, Les Mills CXWORX, Les Mills GRIT, Les Mills Quarterly, Les Mills Reebok, Les Mills Super Quarterly, Reebok Les Mills. Bookmark the permalink. 2 Comments. This looks AMAZING! I wish they did more Les Mills classes at my gym.